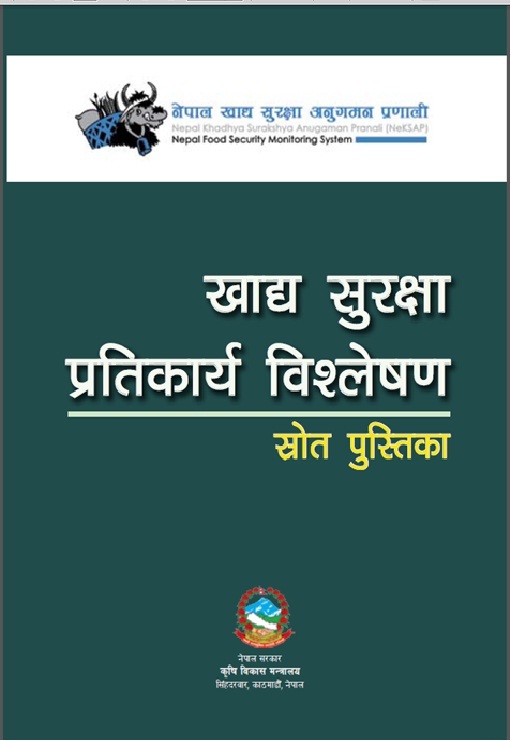 The Food Security Response Analysis (FSRA) Training Guidebook was prepared jointly by the Ministry of Agricultural Development, National Planning Commission and World Food Programme to provide step-by-step guidance for trainers on the food security response analysis process and the development of a food security response plan as part of the 14-step district level planning process of the Government of Nepal. 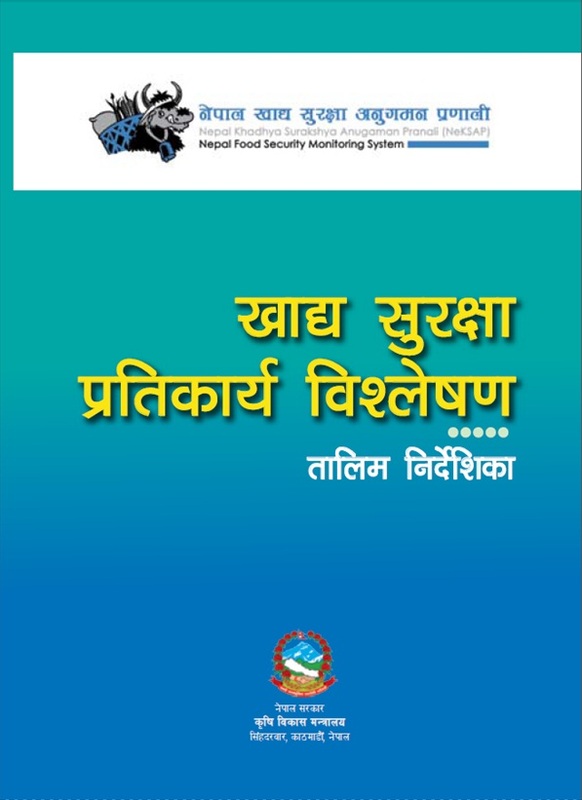 The Food Security Response Analysis (FSRA) Reference Book was prepared jointly by the Ministry of Agricultural Development, National Planning Commission and World Food Programme as a reference for members of the district food security networks (DFSN) on the food security response analysis process. 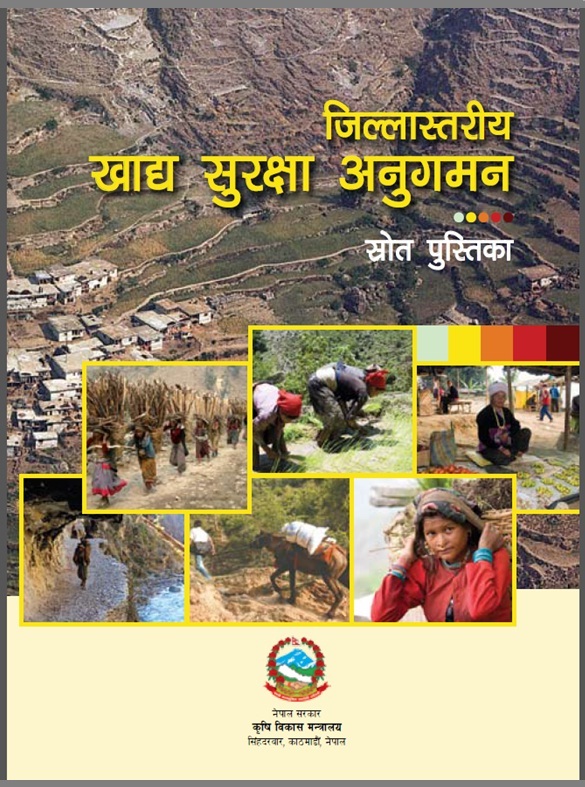 The District Food Security Monitoring Reference Book was prepared jointly by the Ministry of Agricultural Development, National Planning Commission and World Food Programme as a reference for members of the district food security networks (DFSN) on the integrated food security phase classification (v.2) method. It updates the first version of the reference book which was released in 2009.